Most cities put a certain amount of fluoride into the water supply to help residents fight cavities. Unfortunately, Tucson, Arizona, does not have optimal levels of fluoride in tap water, which might be contributing to an increase in the amount of cavities in the city. Keep reading to learn more about these water troubles and how you can change your oral hygiene routine to avoid them. Fluoride is an important tool in the fight against cavities. Regular exposure to it can help people prevent cavities and might even reverse some of the bad effects of tooth decay. About ¾ of Americans who drink tap water get the proper amount of fluoride to help in the fight against oral health issues. In Arizona, only about 57 percent of the population has access to fluorinated tap water. Tucson is not one of the Arizona cities that adds it to the water supply. Fluoride can reduce someone’s risk for cavities by up to 50 percent. Cities across America started to add fluoride to water in the 1940s and were able to decrease cavities across the country by 40-70 percent by the end of the century. The World Health Organization believes that fluoride in water is one of the best ways to prevent tooth decay. In order for the city to add fluoride to the Tucson water supply, they must now get a directive from the mayor and the city council. Since Tucson is not likely to add fluoride to the water any time soon, it is very important to brush your teeth twice a day, floss once a day, and visit your dentist regularly to maintain your oral health. If you are want to focus on preventative care for your teeth, schedule an appointment with Dr. John R. Carson. With services such as gum treatment, teeth cleaning, and sealants, Dr. Carson can help you avoid oral health issues. To learn more, call (520) 355-4855. Oral health changes throughout different stages of life. If you know how your teeth change as you age, it will be easier to care for them properly and avoid unnecessary issues. Keep reading to learn more about the evolution of teeth. After years of eating foods with carbohydrates and sugar, the enamel on the teeth starts to fade away. The enamel is supposed to keep the teeth protected from normal wear and tear. Without it, the teeth are much more susceptible to decay. Try to decrease the amount of sugary and starchy foods that you eat, avoid frequent snacking, and brush your teeth twice a day to keep your enamel intact. Although the teeth themselves do not weaken over time, eating hard foods or grinding the teeth can start to wear them down and make them more likely to break or to chip. Try not to chew ice or other hard foods to decrease your risk for dealing with a chip or a crack. You should also schedule regular appointments with your dentist to fix any issues before they become serious. A lifetime of eating and drinking takes its toll on your teeth. If you eat or drink a lot of coffee, tea, red wine, or berries, your teeth might become stained or discolored. The dentist offers teeth-whitening treatments that can help you restore the original aesthetic appeal of your smile. You can also try to limit your intake of foods and beverages that will stain the teeth. Dr. John R. Carson is here to help you prevent these and other oral health issues that can affect your teeth. With preventative, restorative, and cosmetic dentistry services, Dr. Carson focuses on all aspects of oral health. Visit us online or call (520) 514-7203 to learn more about one of the top dentists in Tucson or to schedule your next appointment. Older adults experience a higher risk for certain oral health issues, which means that it’s all the more important to stay on top of regular dental visits. Keep reading to learn about some of these issues and what you can do to avoid them later in life. Older adults can experience issues with tooth decay that cause major problems for their oral health. Some people have trouble brushing their teeth effectively as they age, which can increase their risk of developing tooth decay. A lot of medications that older adults take cause dry mouth as a side effect, which can also increase the risk for decay. Oral hygiene is especially important in your later years. Keep up with regular dental appointments to ensure that your teeth and gums are as healthy as possible. A lot of older adults develop gum disease. This infection in the gums and the surrounding tissues can cause a lot of oral health problems. Without the proper treatment, gum disease can destroy the tissues and bone fibers that hold the teeth into place. This might cause teeth to loosen or even fall out. Gum disease can also increase the chance for other health issues such as heart disease. Make sure to brush twice a day and floss at least once a day to try to lower your risk for developing gum disease. The body produces saliva to naturally clear out the mouth and reduce the risk for tooth decay and periodontal disease. A lot of older adults experience dry mouth as a result of medications, disease, radiation therapy, chemotherapy, or nerve damage. If you have dry mouth, it is important to visit your dentist to try to find a solution for the issue. John R. Carson, DDS can help you prevent serious oral health issues at any stage of life. With preventative, restorative, and cosmetic dentistry services, our office is here to keep your teeth and gums as healthy as possible. To learn more about our treatments or to schedule your next appointment, visit us at our website or call (520) 355-4855. 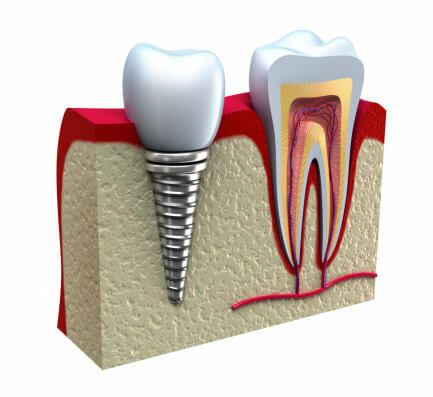 Dental implants provide a functional and long-lasting solution for people who are missing one or more teeth. Keep reading to find out if you are a good candidate for dental implants. Dental implants can serve as replacement teeth. The titanium screw is surgically placed into the jaw to serve as the new root. Then the dentist covers it up with a crown or a replacement tooth. If you are missing any of your teeth, you should talk to your dentist about whether or not dental implants are a good solution for you. It is very important for a person to have healthy gums if they want to get dental implants. If you do not have any signs of gingivitis or advanced periodontal disease, the dentist will be much more likely to give you dental implants. If there is periodontal disease, the gums might not be healthy enough to hold onto the replacement teeth. If a dentist is going to place dental implants into your mouth, you have to have enough jawbone left to hold the implants into place. You should schedule a consultation appointment with your dentist so he or she can examine your jaw and let you know if there is enough bone to hold the implants into place. 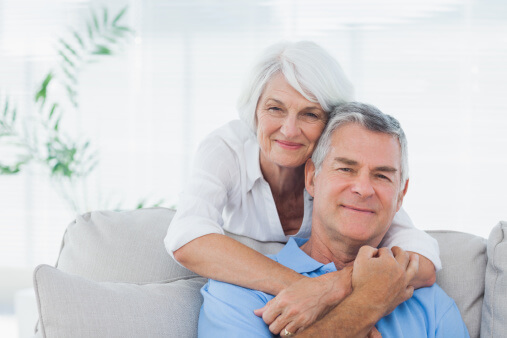 Dental implants can last a lifetime as long as you are committed to caring for them. You will have to brush twice a day and floss once a day to keep the implants in top condition. It is also important to visit the dentist regularly. John R. Carson, DDS is one of Tucson’s top dentists and helps his patients achieve the best smiles possible. If you are interested in dental implants, Dr. Carson will help you figure out if you are a good candidate. To learn more about our services, visit us online or call (520) 514-7203. Brushing and flossing your teeth is only a single aspect of your overall oral health. If you want to enjoy health teeth and gums, it is important to avoid the following daily habits that might harm your teeth. Chewing on hard items like ice puts you at a higher risk for breaking or chipping a tooth. If you love to chew on ice cubes, you might want to try to wean yourself off of this habit. 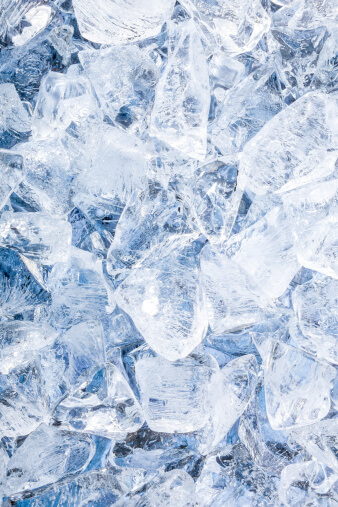 Ice is incredibly strong and can easily damage your teeth. Brushing is an integral aspect of your oral hygiene routine. Brushing your teeth too hard can actually cause damage, though. People who brush too hard might prematurely wear down enamel and bother the gums. Improper brushing might even lead to cavities. You should brush your teeth twice a day with a soft-bristled toothbrush and use gentle strokes to avoid these unnecessary problems. A lot of people clench the jaw or grind the teeth without even realizing it. If you practice this habit when you feel stressed or anxious, you can cause a lot of wear and tear to the surface of your teeth. You might even damage some dental work that you already have. A lot of people use their teeth to open packages, rip off a tag, or to cut string or tape. Using your teeth in this manner could lead to cracks, though. Instead of biting off the tag the next time you buy a new article of clothing, you should use a knife or a scissor to remove it. Dr. John R. Carson cares about the condition of your teeth and gums. He is here to help you avoid serious oral health issues and maintain a healthy and beautiful smile. 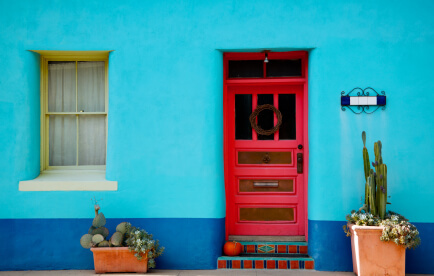 Whether you need a general cleaning or a more extensive procedure, our office is here for you. To learn more about the dentist, call us at (520) 355-4855. TMJ disorders can cause pain and limited range of motion in the jaw area. Spotting TMJ disorders early and getting help from your dentist can help you avoid major discomfort. If you see any of the following symptoms, you should talk to your dentist in Tucson about the possibility of a TMJ disorder. 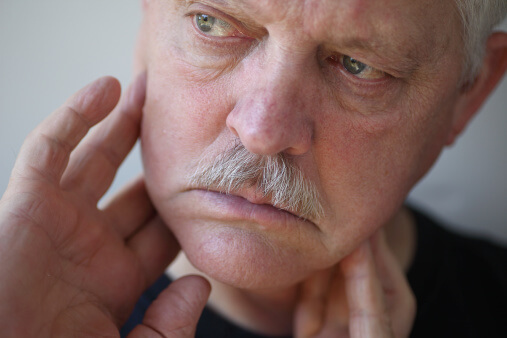 One of t he most noticeable symptoms of a TMJ disorder is pain in the area. You might have some discomfort just in front of the ear, around the eye, in the forehead, or in the neck. If you have consistent pain in any of these areas, it might be time to schedule an appointment with your dentist for a checkup. TMJ disorders can also cause popping or clicking in the jaw area. Pay attention when you open and close your mouth to see if you notice any unusual sounds that might alert you to the presence of a TMJ disorder. You might also notice ringing or popping in the ears. TMJ disorders can lead to consistent and severe headaches. If you are getting headaches more frequently than you once did, you might have a TMJ disorder. Schedule an appointment with your dentist so he or she can determine if a disorder in the temporomandibular joint that might be contributing to your headaches. Since TMJ disorders can cause pain in the eyes and headaches, there is a change that you might also experience blurred vision if you have one. If your eye doctor does not find any issues with your vision, you should talk to your dentist to see if a TMJ disorder is responsible for the issue. John R. Carson, DDS is here to help you with all of your dental needs. Whether you think you have a TMJ disorder or you need a general cleaning, Dr. Carson offers comprehensive services to ensure that you have healthy teeth and gums. To learn more about the office or to schedule an appointment, visit us online or call (520) 355-4855.